Faux wood blinds are an increasingly popular choice among Lake Nona, Florida, homeowners who want to add both shade and style to their homes. 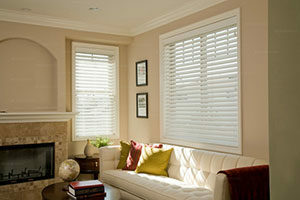 At US Verticals, we proudly offer an extensive range of faux wood blinds, shades, shutters, and more to help homeowners throughout the region find the perfect window treatments for their homes. Additionally, our blinds are available in a wide range of colors and finishes, ensuring you’ll be able to find the perfect option to complement and enhance the aesthetics of your home. And, once you’ve found the perfect blinds for your windows, you can rely on our trained and experienced professionals to take care of the rest of the details. From custom-measuring and fitting each set of blinds to perfectly fit each window, to carefully cleaning up the window area following the installation, we pay close attention to detail to ensure you’ll be completely satisfied with your new window treatments. For more information about the faux wood blinds we offer and install for homeowners in Lake Nona, FL, contact US Verticals today. Our friendly team will be happy to answer your questions and help you find the perfect window treatments for your home.